Who are the founders of the Women’s March in SLO? The Women’s March San Luis Obispo, a sister march to the Women’s March on Washington, found its roots when two local women, Jen Ford and Dawn Addis, felt inspired to make a difference. They were quickly joined by Andrea Chmelik, Terry Parry and Pat Harris. Our “why”: We want to aid in the effort to tell our new administration that we expect all humans to be given fair and equal rights. We believe people from all backgrounds deserve respect from our Country’s leaders, and we feel we cannot quietly allow the assault on women’s and human rights to continue unanswered. We decided we must publicly stand with others locally and across our Nation, to make the voices of women, and those they love, heard. Power in numbers! We believe “The Women’s March on Washington is just the first step; what comes after is up to us ALL” (Women’s March on Washington National Co-Chairs). 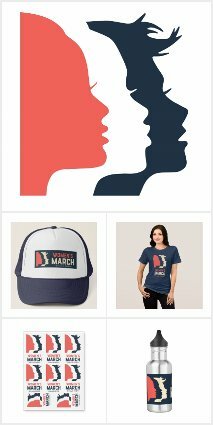 Marchers and volunteers from all walks of life are welcome, you don’t even have to be a woman (In fact, the Women’s March San Luis Obispo boasts the first male organizer in California)! Please join us and make your voice heard! Note: The co-founders, our organizational network, march volunteers and participants do not receive monetary payment for their involvement with this march. We are NOT associated with any organization and have no “hidden agenda”. Our only agenda is clearly stated in our mission statement. Stay up-to-date with all of the latest news & happenings, through our WMSLO announcement feed. Would you like to get involved? Great! Click on the Calendar above to see upcoming WMSLO events.